Real Plus 10L : Real Plus 20L. 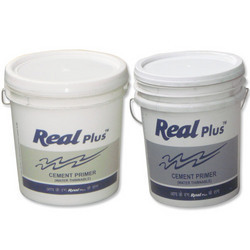 Cement Primer-Real Plus is an ideal cement primer for interior and exterior application with good resistance to alkali and dampness. Cement primer (oil base) is recommended for use in new/freshly plastered walls, asbestos, concrete etc. It may be used as a primary coat before application of synthetic enamels on walls. A cold applied solvent based bituminous solution designed to penetrate and seal porous surfaces prior to the application of covering materials. 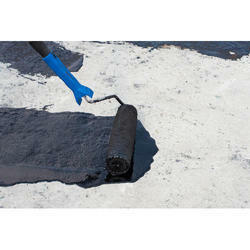 We offer a wide range of bitumen primer made up of premium quality liquid. Our BItumen based primer is used for water proofing as well as acid proofing the surface to make it smooth and compatible. These are known for its high penetration and adhesiveness on the surface. Our range finds application in various which include concrete, metal and wood brick. Color: Available in Gold, Silver, Platinum and Copper metal colors. We feel immensely pleased to manufacture and supply an exclusive gamut of Auto Oil Primer. Packaging Size (ex. 1L or 1Kg): 20Liters, 10Liters, 4 Liters, 2 Liters, 1 Liters & 500 mls. To provide higher level of customer gratification and trust, we are immersed in offering a quality tested Oil Based Primer to the prestigious clients. Packaging Size: 20 litre and 200 litre drums. Kissan Oil Base Cement Primer that reflects the elegance and class of a metallic lustre.